3.For creating a document, you use which command at File Menu? 4.These servers store and manage files for network users. 8.A personal computer is designed to meet the computing needs of a (n)? 9.Ctrl, shift and alt are called _________ keys. 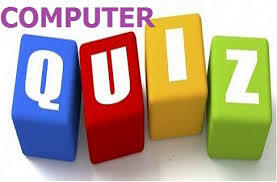 10.A computer used at supermarkets, departmental stores and restaurant etc is called ______ terminal.